I have come to learn that it seems like nobody does beer drinking better than I can. I have drank some really great beers across the continent on really beautiful beaches and sometimes when I just needed a break from reality, beer has had my back. 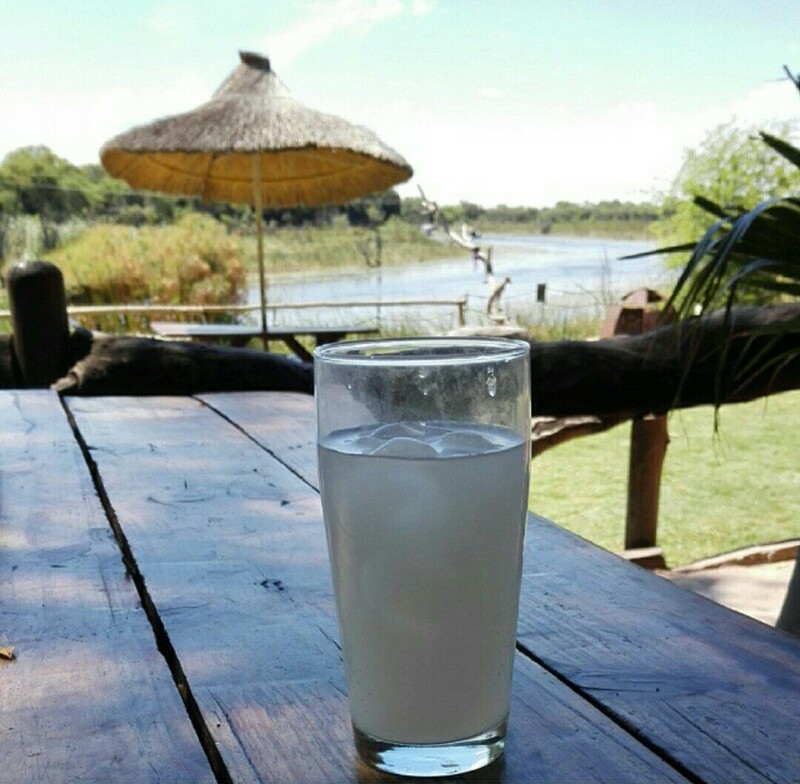 Now bear in mind that in South Africa, we have a huge variety of locally brewed alcoholic beverages. From ciders, beers, liquers and spirits. I came to learn that on the rest of the continent it isn't so. People drink beer and some imported spirits or the local traditional beers. 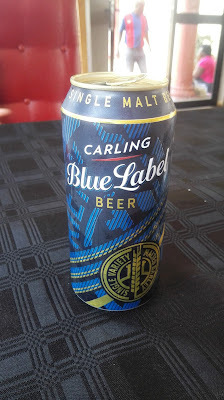 I never used to drink beer in South Africa. Not until I traveled and realized my choices were limited so I had to a quaint my taste buds with local brews. When I am not drinking beer, I'm basically jumping around in amazing places. Today I have compiled all the beers for you. 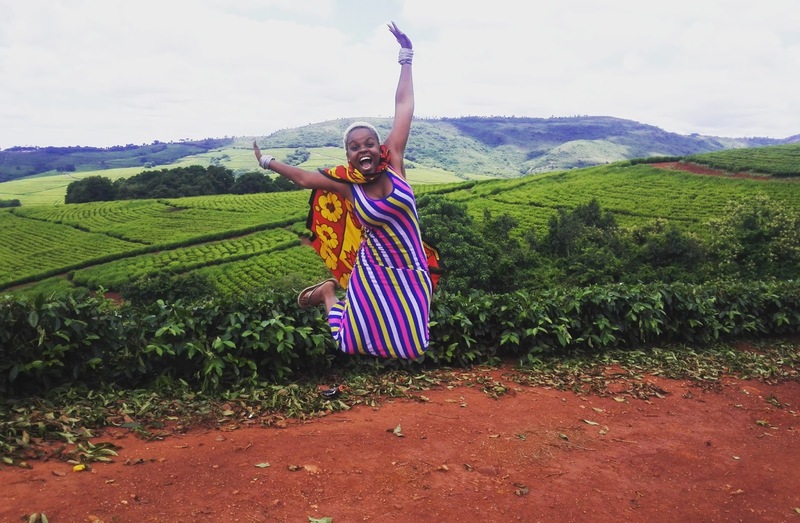 I will share the random stories and memories I have made while sipping on some of these delucious brews... As a South African girl, my favourite beer is a local brew because patriotism and stuff like that. So here are some brews, not listed in any particular order. 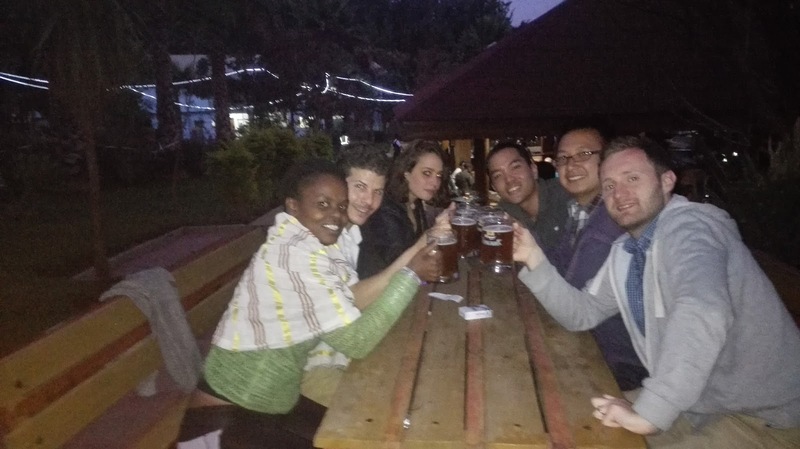 Get a beer, sit back and learn a thing or 2 about African beers. 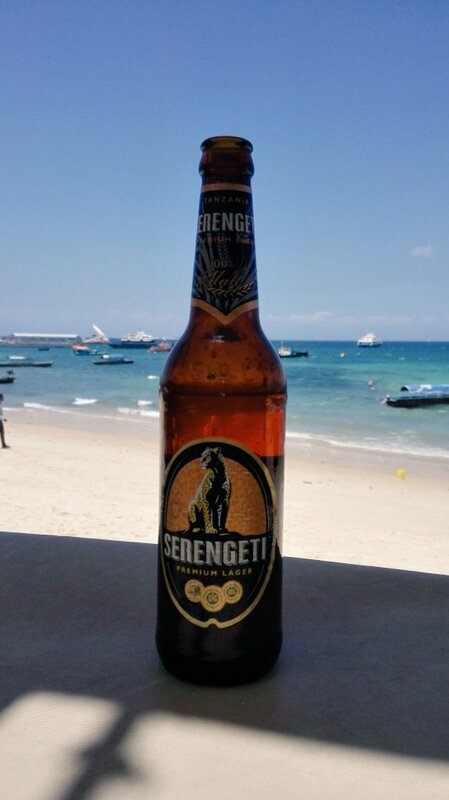 To start off we have the Serengeti beer. No wild guess where I was skipping on this. In Tanzania of course. This picture was taken in Zanzibar at the Mercury restaurant in Stonetown. We were out for lunch with friends I had just met and I ordered a beer while they drank sodas. I don't know who told them there's anything wrong with beer for lunch. It's happy hour in Australia at that time anyways. Tusker. 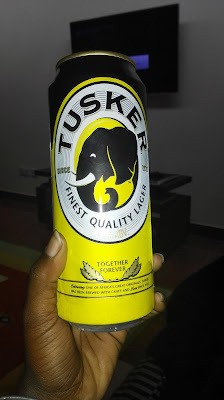 The Kenyan brew. 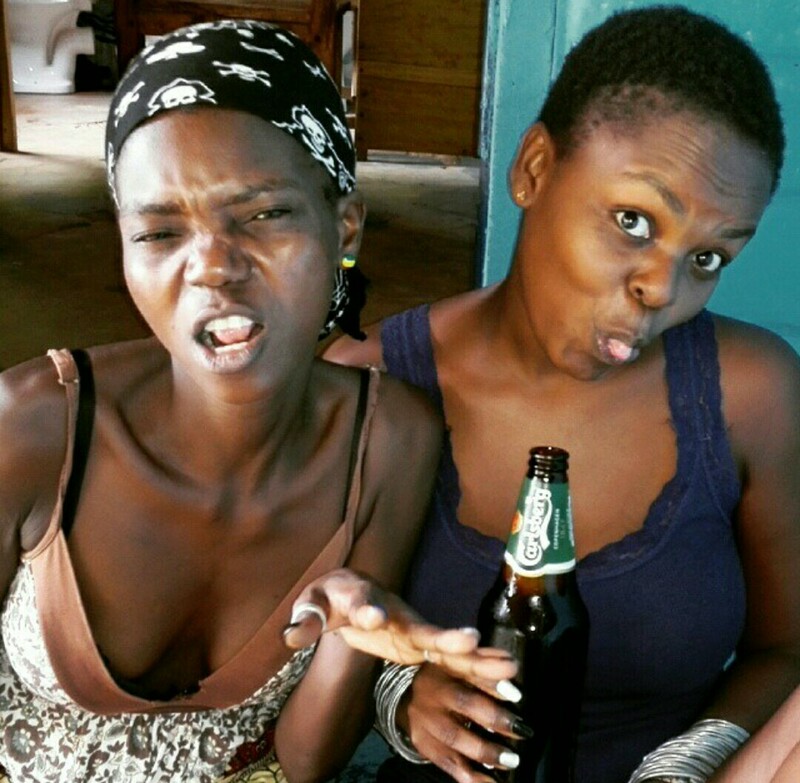 I got a bladder infection in Kenya cos i forgot to drink enough water and all I drank was beer. Ok, I lie. When I was not drinking beer I was drinking wine. Aaahhh, Mosi. 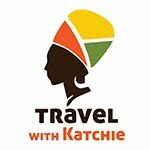 Named after the Mosi oa Tonya aka Victoria Falls. 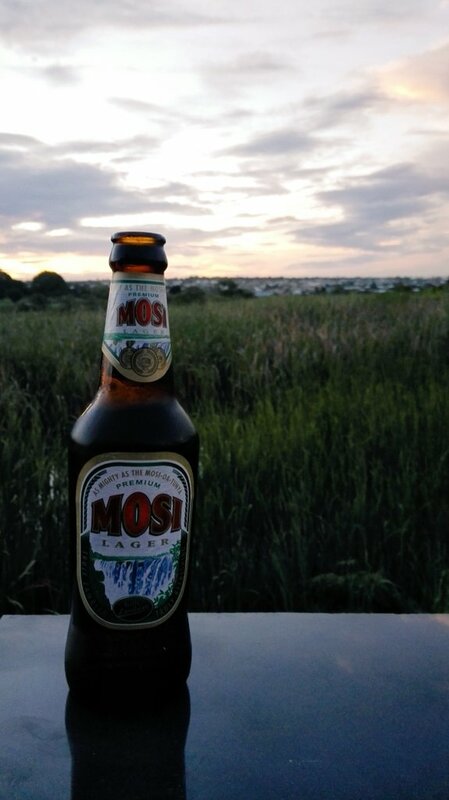 This is the Zambian brew. This was my introduction to the Zambian beer, bought for me at the local watering hole by a few random guys who were curious about me and South Africa. Good conversations all round. 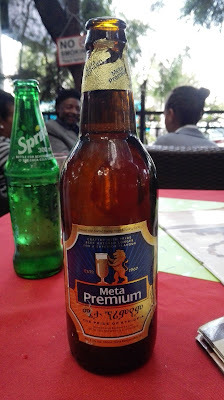 Meta Premium from Ethiopian. 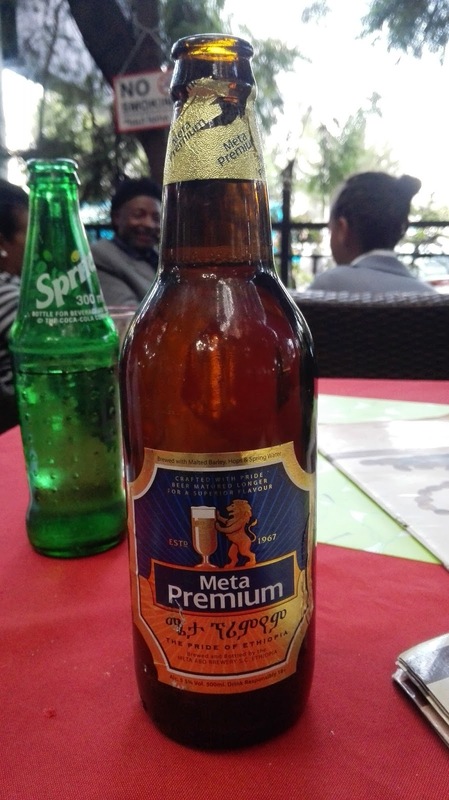 Let's just say Ethiopia makes way better beer than this stuff. I imagine camel piss would taste like this beer. AND THE BEER OF CHAMPIONS!!! This is the Carling Black Label beer. From South Africa, my absolute favourite!!! I always get judgemental looks when I order this beer. You won't smell so great when you've drank this baby. In fact if you drink it and go home to sleep, your room will stink so bank the morning after. 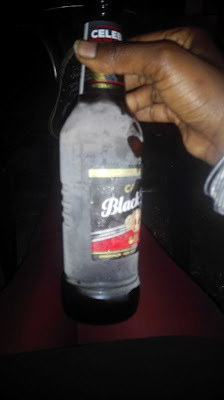 Serve extra cold as you can see the picture. Back to Ethiopia. 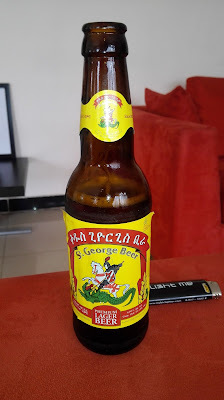 St George beer. It pallatable. It is Ethiopias most popular beer. So if you not drinking amazing Ethiopian coffee you'll be drinking this guy. 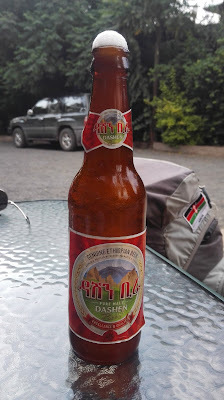 And then my absolute favourite Ethiopian beer - The Dashen. Not bitter, really smooth. This beer I drank in Ethiopia when I got to Gondar and it was my welcome drink. Now still talking about the Dashen, this was at the Dashen factory. They have a beer garden with a restaurant that serves terrible food but we were there for the beer and not the food in all honesty. These are some friends I made in Gondar at a restaurant and they are also solo wanderers like myself. So when you visit Gondar, make sure you go take a beer tour and learn how the Dash 'em is made. Stella. Egypt. Stella was the beer I had been dreaming about. I was in Sudan for 10 days. 3 of those I was stuck at the border with no bathing and I was filthy and bed bugs were having their way with me. All I wanted was a beer and Sudan as a Sheria state doesn't sell alcohol. 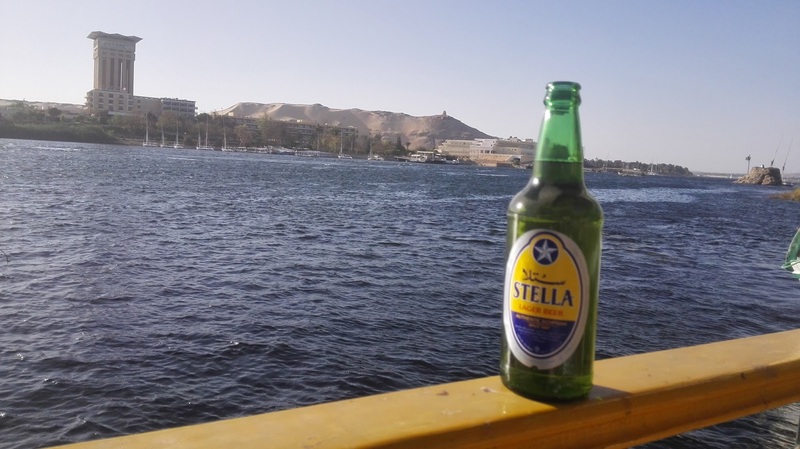 When I got to Aswan, all I wanted was a beer. This was me overlooking Elephantine Island and that is the River Nile. I was waiting for sunset to complete this moment then run to the train station to get my train to Cairo. Castle Lager. This is the cricket beer. You know the sport?!? Go watch cricket and this is a beer of choice cos it sponsors all the games. This is my second favourite beer here at home. 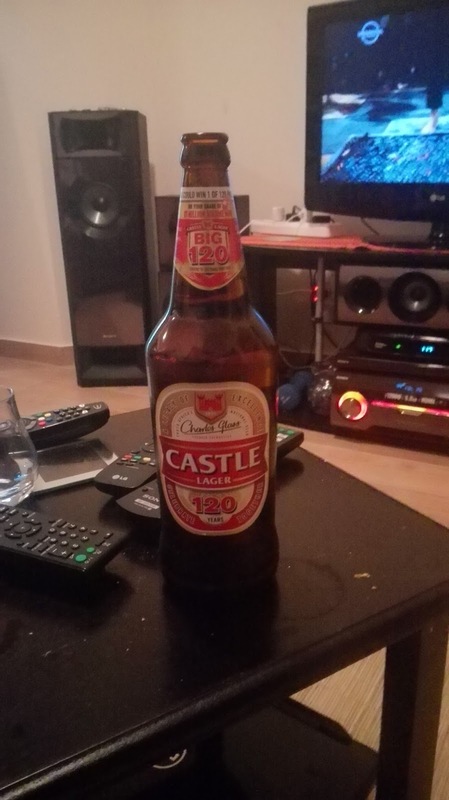 I somehow become one of the boys when we all drinking castle. I don't understand why we have this beer. Carling Blue Label. Similar to Black label but a lot lighter. I don't like it. Tried it once and I don't want to give it another chance. It apparently doesn't compete with the beer of champions on the market. I know a lot of people who enjoy it. I'm ok sticking to the original. 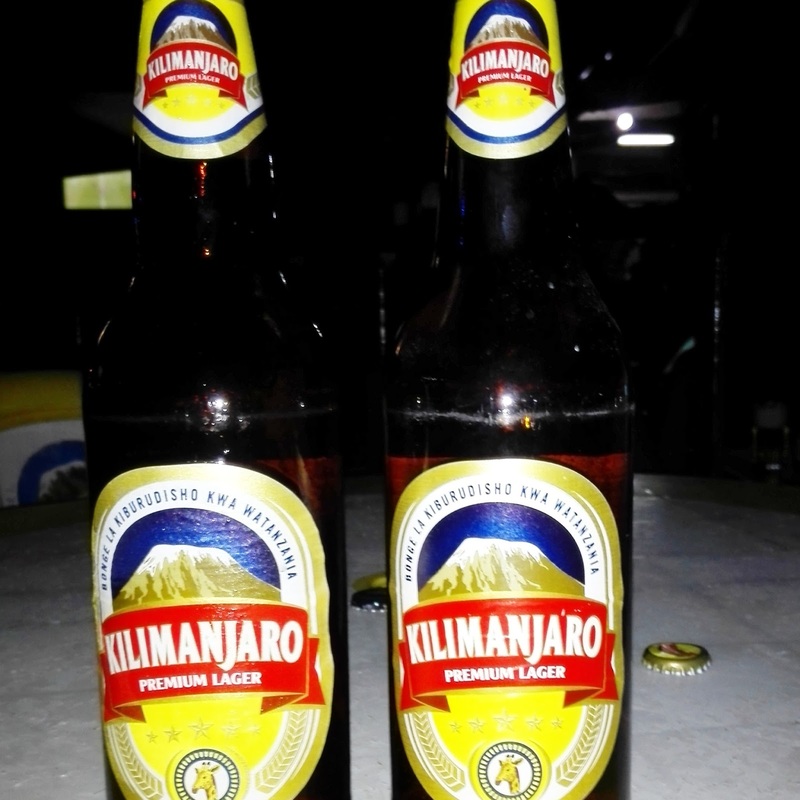 Kilimanjaro.. No guessing where I drank this obviously. The Tasmanian drink that when I ordered I was asked if I wanted it cold or at room temperature. And that's how they offer you beer in Tanzania. I later found out warm beer gets you drink faster. I have no idea where the fun is in drinking warm beer. White Cap - Back in Kenya. Tasted this baby in Maasai Mara. 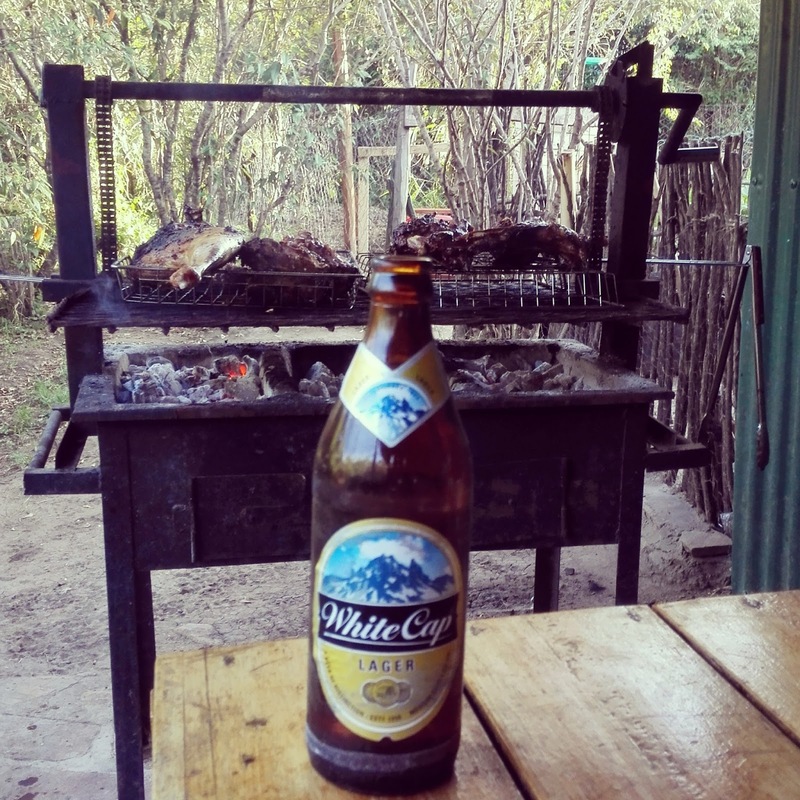 Just fitting to tell the story of Maasai people with all that meat on the grill. 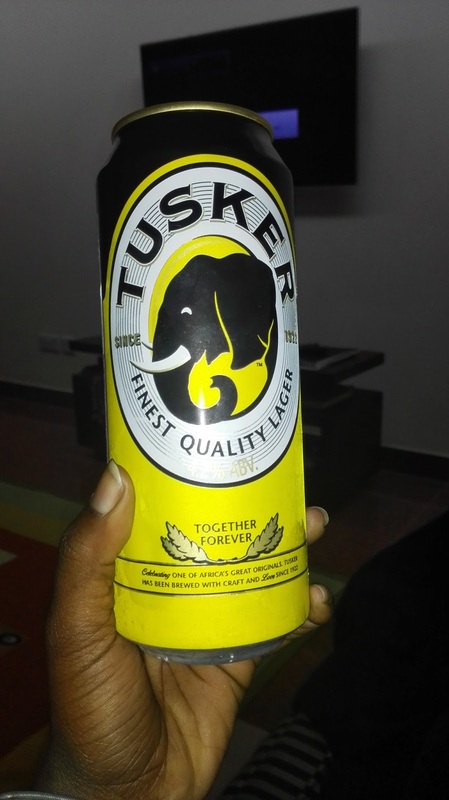 This is a beer that's not very popular in Kenya. Nobody ever talks or brag about it. One day I will find the true story of White Cap. Until then, just drink. Savanna. This isn't a beer but I thought it fitting to add it to this list. 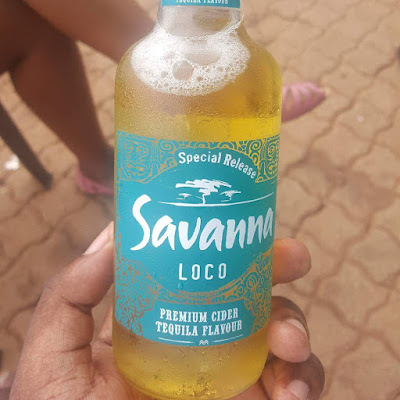 I do not have a picture of the original Savanna cider but this is their latest addition to the Savanna range. It apparently has tequila so that's why it's Loco. The reason why I added Savanna on this list is because everywhere I went and I met other travelers, when they found out I was from South Africa they all asked if I brought some Savanna. So this is dedicated to everyone who has ever visited South Africa and loves Savanna cider. Savanna, it apparently dry. But you can drink it. The Capital city of Namibia is Windhoek. I have never enjoyed this beer. It was my first experience drinking beer so it will always be bitter. 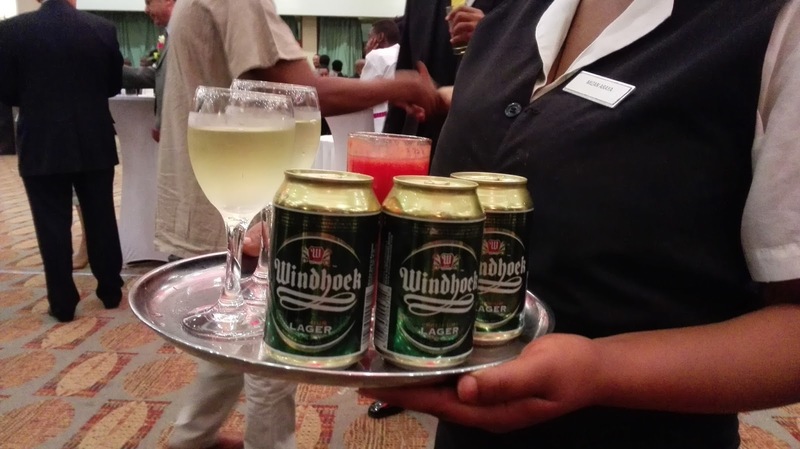 You can have some Windhoek Lager and Windhoek Lite. There is also Tafel in Namibia. This picture was taken in Addis Ababa at a Namibia 50 year of independence event. 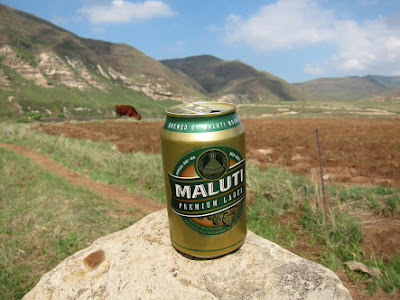 Named after the majestic Maluti Mountains in Lesotho, this is the Maluti beer. I imagine that angel pee tastes something like this beer. Just delicious. One lesson I learned from this beer, you are less likely to get drunk in higher altitude. I will not share the story of how I experienced that.. not today anyways. Sebebe is the beer to drink in Swaziland. 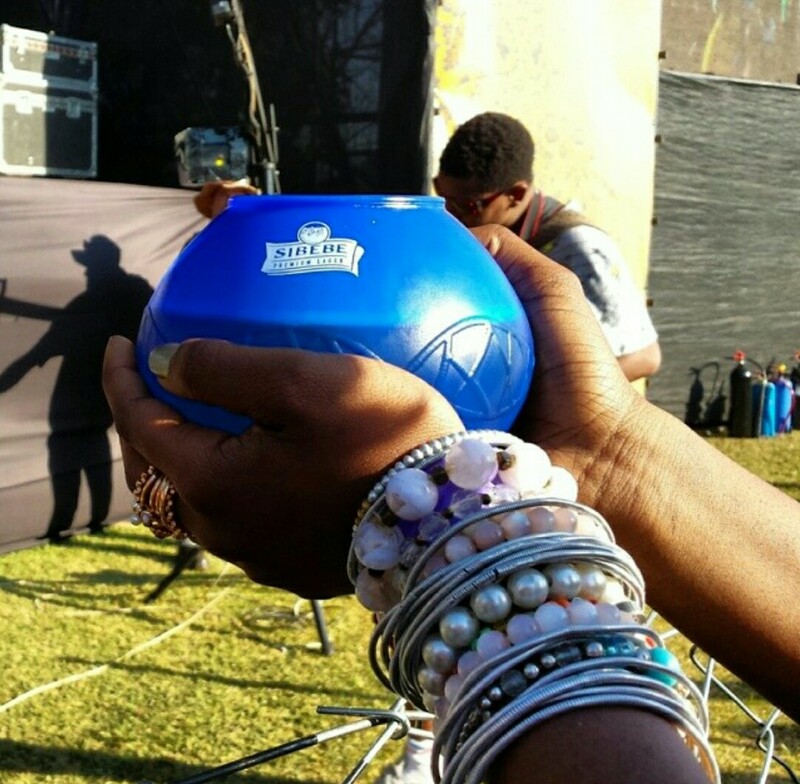 This time it was being served in a calabash at the BushFire Music Festival in Swaziland. During my time in Botswana, all the beers I saw were from South Africa and Namibia. But I had some locally brewed Pine Wine. Not the greatest tasting beverage but you should try it just for the sake of trying it. But do find some Khadi in Botswana, tastes like a cider. Lots of sugar but it's delicious. Except when you leave it too long to ferment then it's just a potent drink. Malawi doesnt have its own beer. they do have Carlsberg. Its bitter - The end. These are just some of the beers i have tasted across the African continent. In Southern Africa you will find most of the South African brews at the local bars and liquor stores. With that being said, I trust you guys to drink responsibly just like i do. and please always obey the age restriction for alcohol consumption in your respective country. 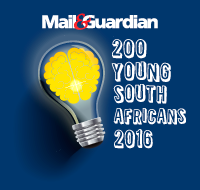 In Southern Africa, you have to be 18 years old to drink alcohol.